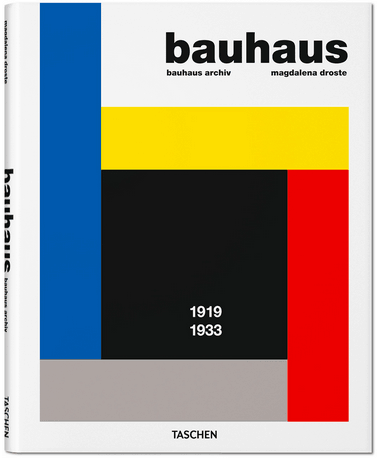 One of the pioneers of modern architecture, Ludwig Mies van der Rohe was born in Aachen, Germany, in 1886, before moving to Berlin, where he began his architectural career. Forced to leave his native country due to mounting political pressure, and the dwindling prospect of future commissions, Mies emigrated to the United States in 1937, where he was subsequently appointed head of the department of architecture at Chicago’s Armour Institute of Technology and for which he was later called to design a new master plan after Armour Institute and Lewis Institute merged in Chicago to create the Illinois Institute of Technology. 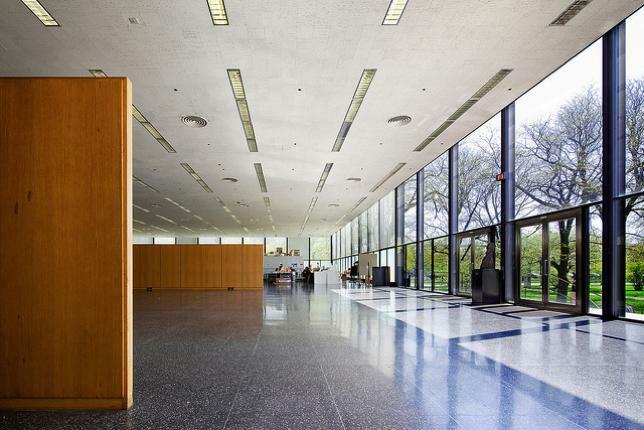 Described by himself as his most perfect work, Ludwig Mies van der Rohe’s Crown Hall, built between 1950 and 1956, is notably different from the other buildings he designed for the Illinois Institute of Technology campus. Mies had laid out a system for the rest of the site, but when it came to the building for the school of architecture, he allowed himself to break his own rules. 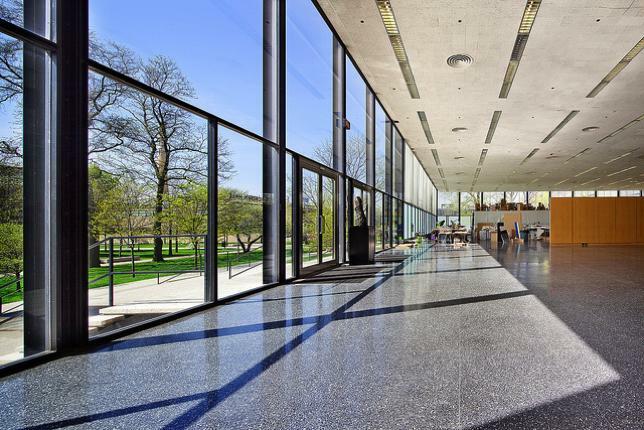 Architecturally significant as one of the most important buildings of the 20th century’s Modernist movement, Ludwig Mies van der Rohe’s Crown Hall is often considered to be his masterpiece. 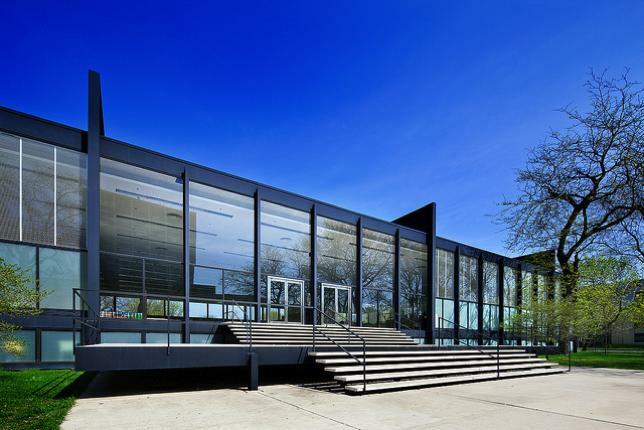 Mies van der Rohe’s architectural philosophy of “less is more” was certainly adhered to, with a beautifully simplistic construction of glass and steel. He even once described the building as being “almost nothing”. 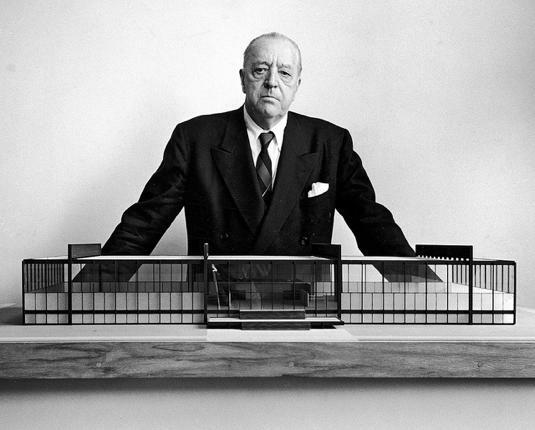 Mies’ one-way structural system created a hugely impressive building with no internal columns. This was achieved by suspending the roof under four steel plate girders, which were in turn supported by eight external steel columns. 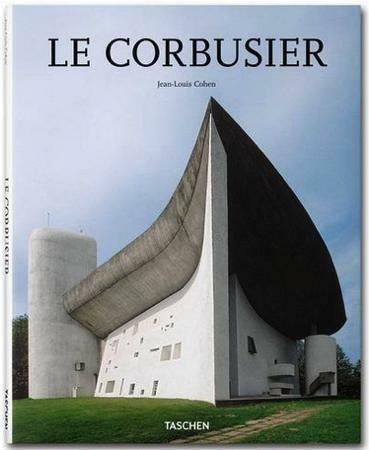 This innovative structure created a vast hall, nearly 5.5 metres high, and 36.5 x 67 metres in area. Floor to ceiling glass panels – with the lower parts outside the entrance sandblasted – create a stunning façade, allowing light to flood into the expanse of internal space. 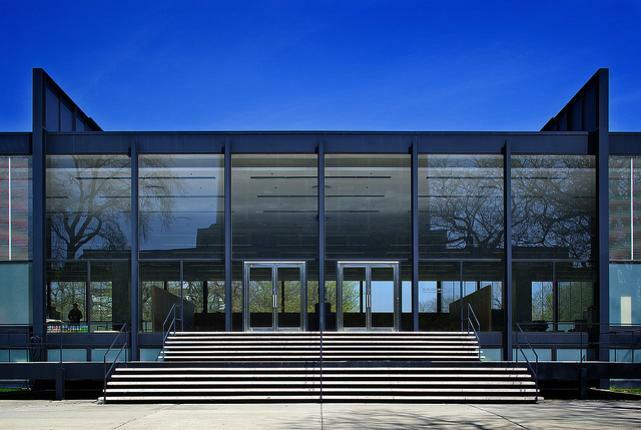 The building is raised by nearly 2 metres, with a magnificent flight of steps leading up to the entrance, a feature that is typical of much of Mies’ later work. This extra height allows for ground-level apertures, providing light and ventilation for the basement-based workshops and seminar rooms. The main floor of the building, meanwhile, is taken up with one large architectural studio, creating a sea of tables in the enormous open space. 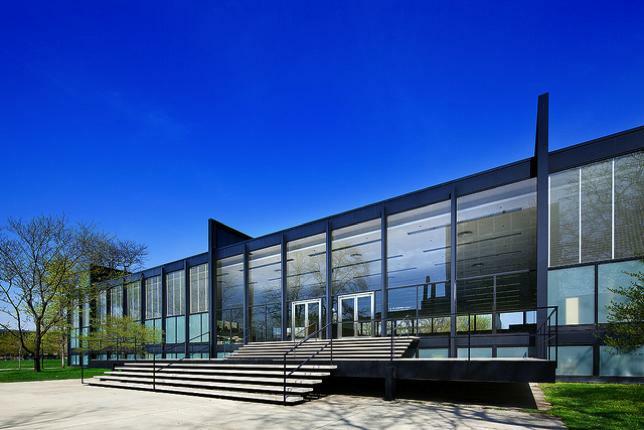 As well as being an architectural triumph, Ludwig Mies van der Rohe’s Crown Hall also embodies the idea of freedom from the bonds of mythology, as had been advocated by the avant-garde since the beginning of the twentieth century. 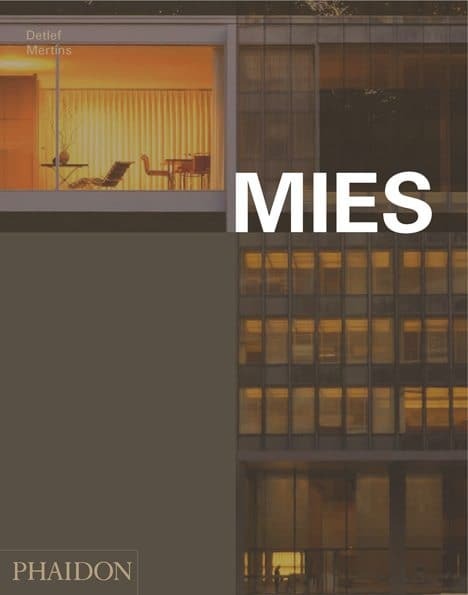 For Mies, his masterpiece was a clear statement of his philosophy of a universal space building.